I recommend this book highly but I think to really enjoy it you should read Mitchell's debut novel, Ghostwritten, first and don't skip it's epigraph - a quote from Thornton Wilder. A lot of clues to the puzzle that is Cloud Atlas are contained therein. 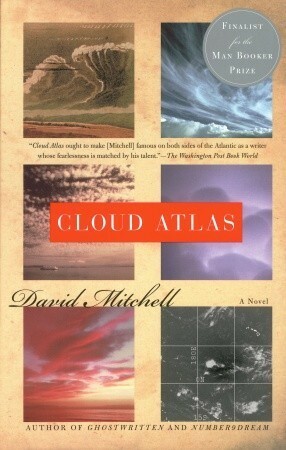 Cloud Atlas can be read again and again to pick up the synchronicity which may affect all our lives. And it is a great and intriguing read.